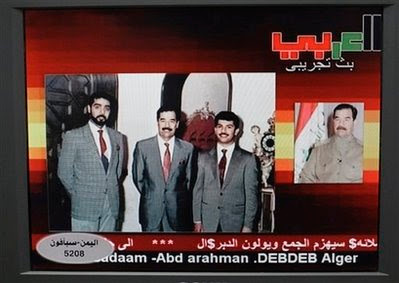 Today we tout online buying of merchandise while in Iraq, satellite TV now touts the "Saddam Channel." So where's the "Ahmadinejad Channel" in Dubai? They move money from their buddies as well as Bernanke! One major achievement of the stupid Americanos' extended military adventure in the Middle East is the lionization and martyrdom of Saddaam. Sorry. But someone had to say it.